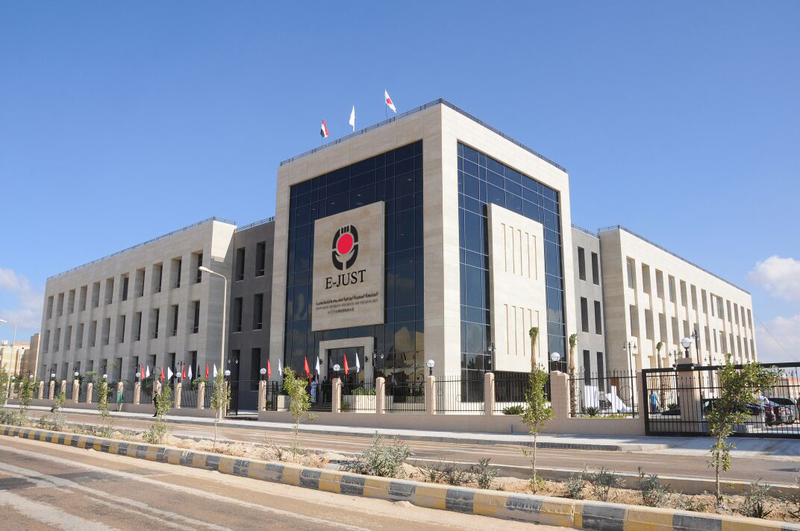 Egypt-Japan University of Science and Technology (E-JUST) is the first model of Research-Oriented universities in Egypt, based on industry partnership. E-JUST is regarded as a fruitful cooperation between Egypt and Japan. It implements Japanese criteria in educational, research and administrative aspects. Besides, E-JUST has academic ties with 15 Japanese universities. E-JUST President Prof. Ahmed Al-Gohary stated that all students do their research and inventive work inside University premises. He also asserted on E-JUST role in serving industry. This philosophy paved the way for researchers to guarantee project funding. On the contrary to other universities that provide merely theoretical education. Prof. Al-Gohary pointed out that E-JUST new campus in Borg Al-Arab is on an area of 200 acres is considered a distinctive model for smart eco-friendly governmental universities, applying all sustainable development standards. He announced as well carrying out more than 20 research project, valued at 27 million EGP, which directly serve research and industrial communities. Prof. Al-Gohary added that 2019 shall witness final Sewage Treatment Station operation for in Borg Al-Arab city. This station is the first in Egypt, Middle East and Africa for Waste with the capacity of 200 m2 daily using DHS technique. This technology is known for its large space, occupying little of the land. 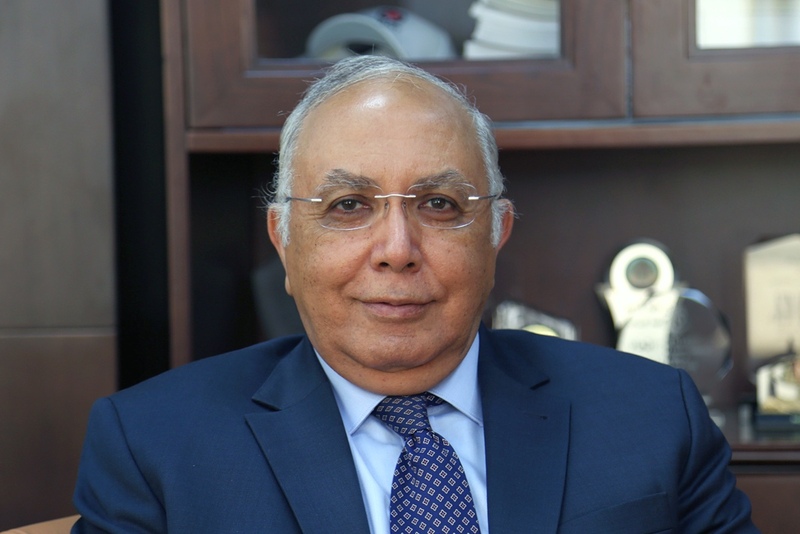 Project Principle Investigator was Dr. Ahmed Tawfik, E-JUST Professor. This project was executed and funded from Academy of Scientific Research, in cooperation with E-JUST and Tohoku University. Prof. Al-Gohary clarified that this station is a low-budget project, with locally cheap produced sponges 99% holes. Accordingly, giving a chance to various purifying micro-organisms (Aerobic – Optional – Anaerobic) to be inside and outside sponge holes. Thus, increasing purifying micro-organisms retention time; reducing the resulted sludge from the treatment process. Sludge retention time (Bacteria) inside the reactor ranges from 200-300 days. Hence, increasing their efficiency in removing organic, inorganic and microbial contaminants. They can be used for irrigating green areas as well. Prof. Al-Gohary pointed out that another unit is currently under construction – 400 m2 per day in Al-Adel Village, Snoras Center – Al-Fayoum Governorate. Besides, Sewage Treatment Technology Innovation Project, for agriculture reuse in arid zones. E-JUST President Prof. Al-Gohary revealed a research project, which works on restoring heat (low quality). Innovative University researchers provide triple integration, producing electricity, water and cooling services at affordable prices for localities. Prof. Al-Gohary stated that electricity and water sectors in Egypt face the need for continuous increase; coping with population growth. In addition to current cooling systems consuming almost 30% from produced electric power. Therefore, enhancing the efficiency and sustainable energy in these sectors, is of strategic priority. Prof. Al-Gohary then mentioned that Egypt is one of the richest countries in the world concerning the intensity of solar radiation (reaching 4000 solar hour a year). It can also generate thermal and electric energy, and use it (low quality) partially; promoting water desalination, cooling, clean energy and water production. This integration represents a new generation of good impact technologies on both environment and climate changes. Moreover, the use of excessive energy can support Egypt’s strategic plan 2030, particularly in the field of energy and urban development. Prof. Al-Gohary added that the internet project for fish aquaculture was also being implemented to increase the rate of fish farms production. Furthermore, he mentioned that E-JUST is ranked first place in international publishing, at Egyptian universities level over the past two years. Three Faculty staff members received Encouraging State Awards in Engineering and Science in 2017. Last but not least, E-JUST has registered 12 international patents in Robotics and Mechatronics, Materials Science, Renewable Energy Resources and Computer Applications Engineering.